Nothing Ever Dies: Vietnam and the Memory of War by Viet Thanh Nguyen | Harvard University Press 2016 | ISBN: 9780674660342 | 384 pgs. Nothing Ever Dies: Vietnam and the Memory of War might seem like an odd title for a book about a conflict in which six million people were killed, but the premise of this book by Viet Thanh Nguyen is that “all wars are fought twice—once on the battlefield, the second in memory.” In this sense the war that Americans call the Vietnam War, and in fact, all wars, are ongoing. They never die. And while the United States may have lost—or at least, failed to win—that war in southeast Asia, it has, according to Nguyen, won the war in memory. In Nothing Ever Dies, Nguyen, whose 2015 novel The Sympathizer won the Pulitzer Prize for fiction earlier this year, lays out his vision for the role of art in bringing an end to “the steady drone of war” that has gripped the United States since 1898 when it seized the Philippines, Cuba, Puerto Rico, and Hawaii in the conflict called the Spanish-American War. Nguyen, who was a toddler at the time he fled Vietnam with his parents and older brother, does not remember much of his life in Vietnam during the war, but he does remember seeing the Francis Ford Coppola movie Apocalypse Now for the first time when he was 10. He recalls cheering for the American soldiers and then experiencing a moment of devastation as those soldiers massacred the Vietnamese people in the film. A couple of years later, he read Larry Heinemann’s novel Close Quarters, which drew on Heinemann’s experiences as a US soldier fighting in Vietnam. As a twelve-year-old, Nguyen says, he wasn’t equipped to deal with that book, but these experiences of the war as presented in film and literature have driven Nguyen’s work. Nothing Ever Dies discusses the role of monuments, memorials, film, literature, and art in either perpetuating or ending the cycle of war. Nguyen tells us that in Vietnam, the war Americans call the Vietnam War is called the American War, but that is not the whole story either, because Cambodia and Laos suffered proportionately higher casualties than the United States and even Vietnam. By Nguyen’s reckoning, the casualties of war include not just those who perish in combat, but the many who die as a result of war (injuries, suicide, disease, environmental destruction leading to shortages and lack of infrastructure for health care, etc.) in the years immediately following the conflict. Nguyen asserts that the standard way of determining casualties imagines war as for the most part a military combat between primarily male soldiers, failing to recognize the consequences of war for women, the very young, the very old, and “many of those who fall between the binaries.” Using these measures, Nguyen cites casualty rates of 3 million for Vietnam and another 3 million in Cambodia and Laos in the years 1965–1975. Neither the United States nor Vietnam tend to acknowledge the impact of the war on Cambodia and Laos, and Nguyen claims that it is partly the inability to acknowledge the suffering of others that perpetuates war—the belief that only one’s own people are heroic in the face of suffering, while the enemy is cruel and demonic. At the same time, Nguyen warns against a simple reversal in which “the other is good and virtuous and we are bad and flawed.” He argues instead for “a complex ethics of memory” or “just memory” that strives to acknowledge the humanity and the inhumanity of all sides of a conflict, and says the way to achieve that is through art. There is a difference between art in the service of “just memory” and what Nguyen calls the memory industry, which banks on “emotion and ethnocentrism” to turn wars into “sacred objects” and soldiers into “untouchable mascots.” To confront the war machine and tell what Nguyen calls “the true war story” requires one to renounce and forgive the violence while simultaneously recognizing one’s own culpability, past or potential, and fully envision the vast landscape of war beyond the confines of the battlefield. While the war machine wants to keep the focus on the face and the deeds of the soldier, the artist must imagine the breadth of war’s impact, and only then, in Nguyen’s view, can we create a peace movement based not on “a sentimental, utopian vision” but on a vision that recognizes everyone’s “unrealized humanity and latent inhumanity.” Nguyen’s book is illustrated with works of art, photographs of war memorials, and movie stills. It is unfortunate that the economics of printing require these images to be quite small and printed only in black and white, but at least we have some visual references that help us follow his discussion of the ways the war is depicted both in the United States and in Vietnam. I think of sentences like the one above in this current election season here in the United States. I believe that the party and the candidates I support are our country’s best hope for social and economic justice and environmental survival, yet it pains me that campaigns inevitably conflate patriotism with militarism, security with militarism, and decency with militarism. My heart aches for parents who have lost a child in military conflicts, but it aches as well for those who have lost a child in the conflicts over racial and economic inequality and whose children are regarded not as heroes or role models, but as criminals or threats. Both losses are the result of a failure to recognize, in the words of Nguyen, everyone’s “unrealized humanity and latent inhumanity,” whether US or ISIS, soldier or civilian, black life or blue. In an interview with Literary Hub, Nguyen explains that part of his goal is to expose the connections between “wars foreign and domestic” and says that the powerful interests in any society try to keep its people from making those connections. Yet, he says, “the roots of slavery and racism are deeply embedded with nationalism and war.” He cites Junot Diaz, Susan Sontag, and James Baldwin as inspiration for his work, and the title and the epigraph for Nothing Ever Dies come from Toni Morrison’s Pulitzer Prize-winning Beloved. Nothing ever dies, in the sense that conflicts continue in the memories and psyches of combatants and survivors, but the phrase also evokes the famous Latin phrase ‘ars longa, vita brevis’ — art is long, but life is brief. Through art, Nguyen says, we can reshape the experience of war into one of justice for lives lost either literally or in effect, and ultimately create a “new kind of story” that points toward true justice and lasting peace. 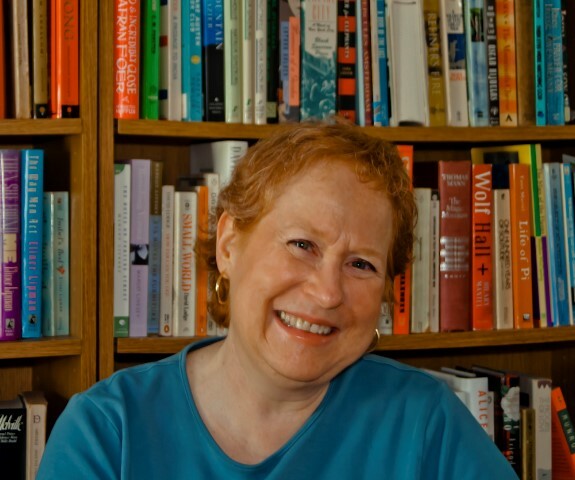 Lynne Weiss’s work has appeared in Circa: A Journal of Historical Fiction; Black Warrior Review; and Brain, Child; as well as the blogs ofThe Common, Ploughshares, and PANK. She has received grants and residency awards from the Massachusetts Cultural Council, the Millay Colony, the Vermont Studio Center, and Yaddo. I just got done watching the most dangerous man in America Daniel Ellsberg quite interesting documentary on Vietnam. It’s almost like the French brokered the war to the US with the notion, like a mortgage could be more profitable for whatever subsequent buyer was willing to take more risks in some way. I could be wrong, just a manifesting observation. Thanks for the heads up! I will have to watch that film myself. I think Ellsberg was such an important–and not well recognized–figure. This review moved me so much, Lynne. The reflections and insights on Nguyen’s book cover arenas of thought that are frequently on my mind…Incredible piece. I will definitely be reading Nothing Ever Dies. Thank you for your work.